SOAP CITIES EXCLUSIVE: Pics and dish from a GH and ABC soap fan event! SOAP CITIES EXCLUSIVE: Surprise Guest at Howarth/Easton Fan Event Last Night! 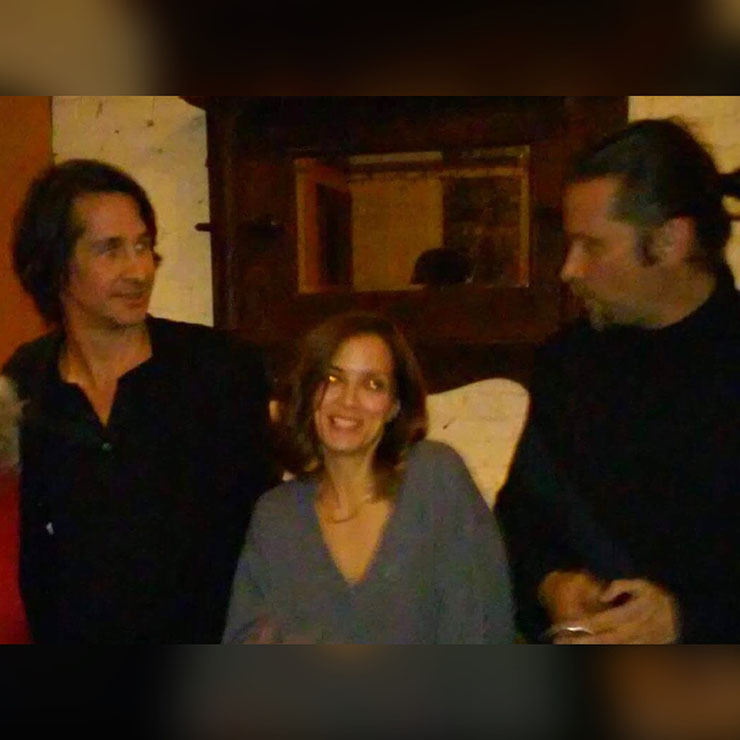 Soap Cities EXCLUSIVE: An awesome addition appeared at a Roger Howarth/Michael Easton fan event last night! Hint–she’s in the middle. Soap Cities has some exclusive dish and pics for you from a “One Life to Live” (and also “General Hospital”) fan event that took place last night! It was a fan event that’s shaping up to be an annual one. Roger Howarth (Franco Baldwin) and Michael Easton (Dr. Hamilton Finn) did an intimate meet and greet with fans in New York City. They did a similar event last year, which Soap Cities (SC) co-founder and co-Editor-in-Chief Shawn Brady attended. A wonderful part of the fun that was missing at last year’s event but present at this year’s was none other than the lovely and luminous Rebecca Budig (Hayden Barnes)! She just dropped by because she was in town! Scroll down for more pics. We a SC are fervent fans of Budig’s. We lived for her as Greenlee Smythe on “All My Children” (AMC) and we love her on “General Hospital” too. What should we call her fan squad: Budig’s Beauties? Budig Babes? We’re also, as you SC readers know, active in the Save Our Soaps (SOS) movement, particularly the arm of it that seeks to resurrect AMC and “One Life to Live” (OLTL). Hence, we love that once and hopefully-future OLTL stars Howarth and Easton do this fan event together. When you add an AMC fan fave like Budig, it’s a welcome reminder that Pine Valley and Llanview are alive and well in the great wide soap ether. And we believe they’ll back on our screens too, provided we fans do the lobbying and leg work it’ll take to make sure that happens. Enjoy the pics and do these tasks! 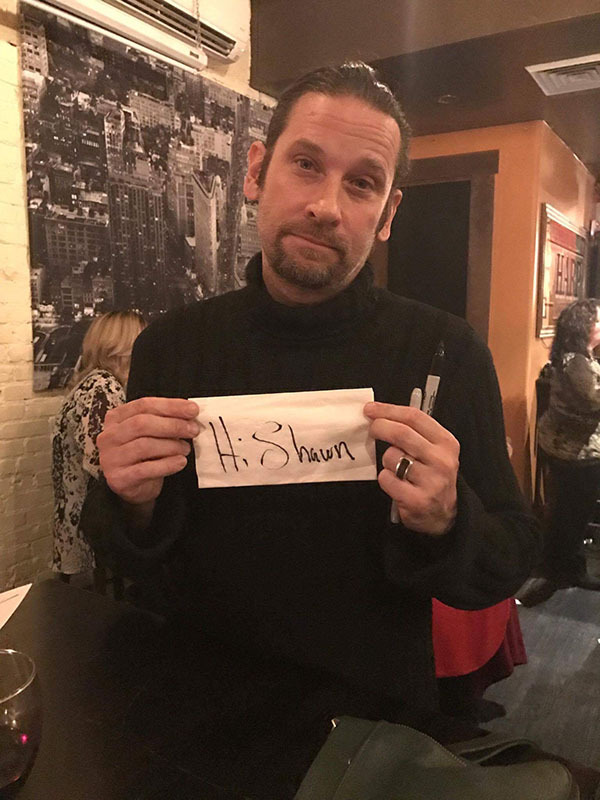 Roger Howarth had a special message for SC co-founder and co-Editor-in-Chief Shawn Brady. 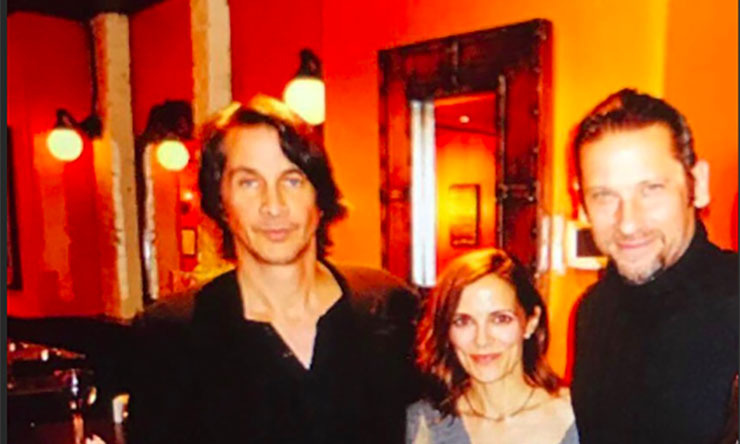 Rebecca Budig flanked by costars Michael Easton and Roger Howarth last night in NYC.